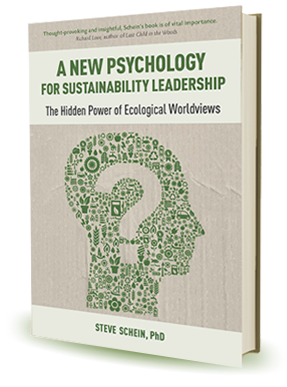 Dr. Steve Schein is a sustainability leadership educator, researcher, corporate strategist, and executive coach. After 25 years in the corporate world and 10 in academia, he sees the evolution of business leadership and education towards ecological sustainability as a global imperative. To that end, his research focuses on the development of ecological and post-conventional worldviews in the setting of multinational corporate leadership. Steve is passionate about helping leaders and teams tap into their deeper motivations to cultivate mission driven organizations and strategic partnerships across boundaries. His research has been published in The Journal of Corporate Citizenship, The Journal of Management of Global Sustainability, and presented at numerous conferences on corporate social and environmental responsibility. He is currently the Expert-in-Residence at the Presidio Graduate School in San Francisco and was a member of the faculty at Southern Oregon University from 2005-2015, where he founded the certificate program in sustainability leadership. 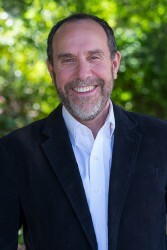 Prior to joining the faculty at SOU in 2005, Steve was a director of consulting at Moss Adams and President of resort management companies in Colorado and Arizona. In 1998, he co-founded an NYSE company, ResortQuest International, where he served as a senior vice-president and corporate officer until 2004. Earlier in his career, Steve was an international auditor with Arthur Young and Nabisco Brands. He has international teaching and business experience in Mexico, South America, Europe, and Asia and speaks three foreign languages: Spanish, French, and Portuguese. Steve holds a PhD in Human Development and Organizational Systems from Fielding Graduate University and a BA in accounting from the University of Colorado. He currently serves on the Board of Directors for Net Impact and the GEOS Institute. He lives on10 acres of forest in Ashland, Oregon with his family and enjoys backpacking, paddle boarding, and playing saxophone in the orchard on warm summer evenings.